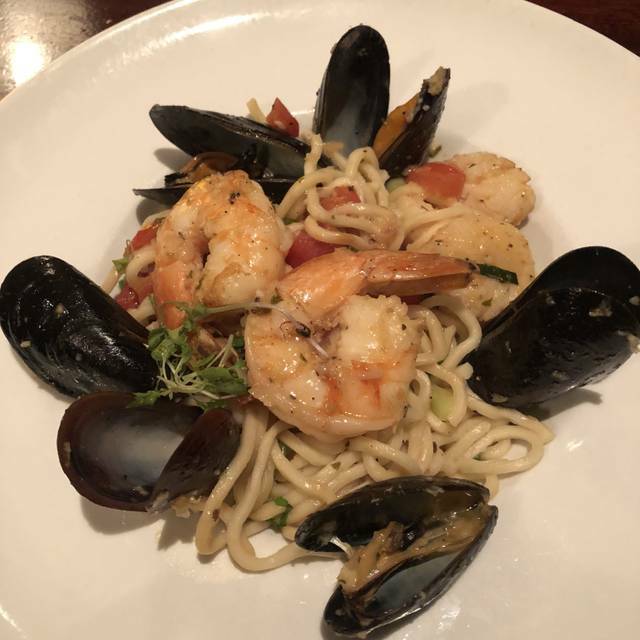 Offering a menu reminiscent of northern Italy’s trattorias with farm to table ingredients, Amelia’s creates a relaxed yet sophisticated atmosphere in a suburban setting. Our extensive wine list and fine selections of cocktails and single malts complement our most tender and flavorful steaks. An abundance of fresh pastas and homemade desserts showcases our kitchen’s creativity and passion. The spacious layout complemented by a dark mahogany finish emanates warmth and elegance. Reclaimed skip planed oak, stone walls and an antique fireplace anchoring our largest private room, radiate elegance and understatement. Whether having a family gathering or celebrating a special occasion, our polished service and cordial staff make sure you and your guests have an enjoyable and delightful experience. A little off the beaten path, but the food here is some of the best in the Greater Boston area. Our server, Joseph, was prompt and attentive. Well worth a visit! Took a long time to serve drink, then longer to serve food. 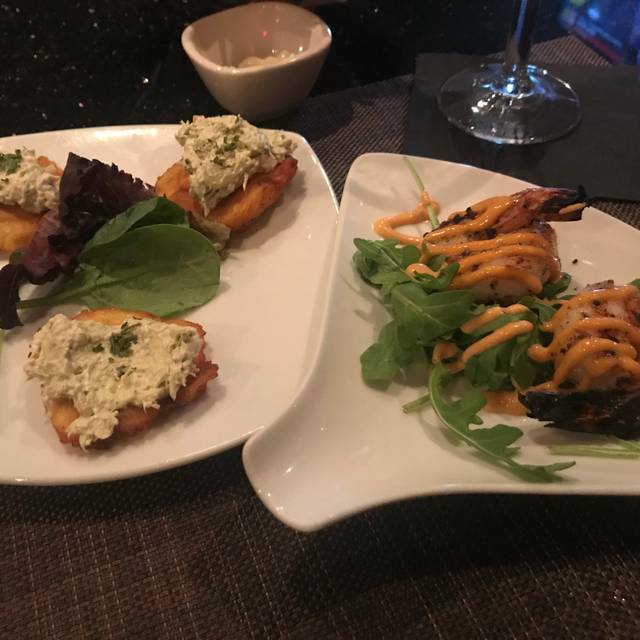 But the worst thing was that my appetizer was brought 10 minutes before my husband’s, and then after a long time his main course came 15 minutes before mine, so in each case one was eating while the other just sat there. Not a fun night. We called the manager, who took some items off our bill, but the waitress never apologized or even seemed to care. Very nice place. Small portions. Pricey. The food was delicious and it came out relatively fast. Amelia's is the best restaurant in the neighborhood. We loved the relaxed feel of this place. We definitely will return to try more dishes. Our waitperson was friendly and knowledgeable of the menu items we had inquired about. We went to Amelia's to celebrate my fiances birthday , it was a Tuesday night so it wasn't a "busy" weekend night out which was a big plus, it was very intimate. The food was delicious!! The cocktails, perfect, right down to the wine served with dinner. We had a multiple birthday celebration and it was a perfect night! Food and service outstanding! Arrived 10 minutes early for 615 reservation for 6 people and promptly seated. Almost immediately found the room we were in was very loud partially do to the large number of children in the room. Immediately asked for a different table in another area and they were able to accomadate our request cordially. Overall the food and service was excellent. Would highly recommend and will return. Amelia´s used to be very good in food and cleanliness wise. They have made some changes to the food not for the better. They have changed what used to be great pizza to what looked and tasted like a cheap frozen one. Calamari was tough. Their desserts also used to be great. They have changed those as well. Cheesecake tasted gelatinous and not fresh. The tables in lounge were dusty and do not appear to have had a good clean in some time. The food was good, and the service was friendly, if slow. Perhaps there was something going on in the kitchen but we waited more than 35 minutes for our entree after we were done with our appetizer. It's a good place for groups, but not at all quiet so do not recommend for date night. I think this restaurant is very overpriced for what you get. I got "penne" which is just chicken parm with a side of penne for $25. Really nothing special and it's something I can get cheaper at any other Italian restaurant. My husband had the salmon which he said was good, but for $31 he got about 6 fingerling potatoes and one small roasted cippolini onion with the salmon. The wine is also seriously marked up. The $38 bottle of wine we got (cheapest bottle on the menu) sells for about $7 at Wegman's. My fiancé and I had such a great experience here! Our server was fantastic and accommodated all of our dietary restrictions. During our meal she brought us some Prosecco to cheers our anniversary! Such a fun night and we can’t wait to go back! Waitress was the highlight. Fantastic attitude and energy. She helped make it a fun night. Good great as usual. Our favorite go to on a Saturday ( or anytime!) Drinks are excellent and the food NEVER disappoints! Service is always good. Eagerly anticipating the summer months to sit at the outside bar. Perfect for moms birthday. Great time and food! Morgan was great! We’ve been to Amelia’s many times. It’s always good. That’s why we kept going back. It’s a lovely restaurant, but the food is just ok. The chix parm was dry, rigatoni was good. I wish the food was a little better to match the ambiance. First time coming here, will be back! Food was amazing!! Waiter could have been a bit friendlier since we were celebrating two birthdays. 1. Our waitress Brenda was very professional. Always checking in to see if we need anything. 2. The crab cake I had Saturday evening was the BEST I have ever had and I had crab cakes from Baltimore and the West coast and yours was the BEST. 3. 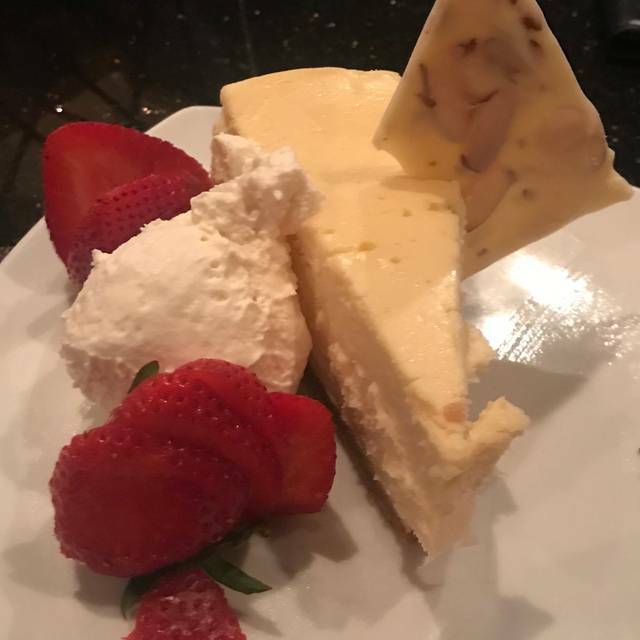 The cheesecake was wonderful and of great quality. We are so lucky to have such a GREAT restaurant so close to where we live. Food was average and it was very loud. Very hard to justify for the price they are charging. Our waiter Joseph was great! Made recommendations for food and drink he was spot on! The food and service was amazing i will definatley be returning. I dined at Amleias around 6pm on a Saturday night. Amelias was crowded but we had a reservation. We were seated quickly. Our waiter was personable and attentive. The bread was warm and yummy. I ordered the spaghetti. My only complaint is that i did not expect a small plate. My spaghetti included 4 forkfuls of pasta, 2 shrimps, 3 scallops and 6 mussels. By 9pm I was hungry again. Althought my meal was perfectly seasoned and delicious I was disappointed in the portion size. NO DISAPPOINTMENT HERE. FRESHLY PREPARED CUISINE & EXCEPTIONAL SERVICE EVERY TIME. We all thought that the food was average at best. Certainly not worth the price. 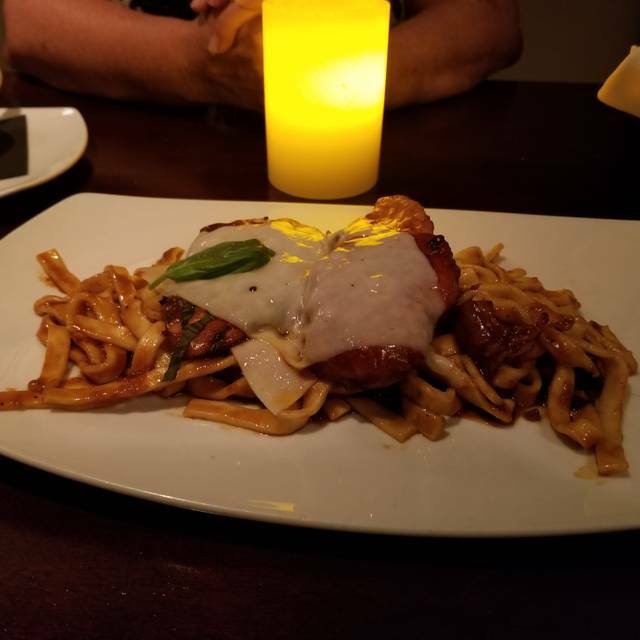 We enjoy splurging on upscale restaurants through out the year. This was our first visit. Absolutely nothing special including wait service and food. We would recommend it to friends. Maybe off night but we were there at 5:30 pm. Not sure if we would return. As I say.... average at best and I am not a food snob at all!!!! Ist timer, came for the dine out special...I got the caprese salad, tuna & tiramisu. I absolutely devoured every single bite. The tuna lacked a bit of flavor, but the serving size was very generous. The bok choy & sauce was perfect, maybe just a bit more spices on the tuna would have been perfect. The tiramisu was so large, I couldn't believe it was part of the special. My husband got the plaintain chips (we didn't like this app, it was too small & just kind of blah) For his entree, he got the salmon this was the best!!!!! Perfectly seared and seasoned, very small portion so his only complaint was that I kept eating his meal. Then he got the gelato for dessert, also a great choice. Our reservation was honored and we were seated promptly. Our server was delightful, knowledgeable and attentive without being annoying. We were there to try the dine out menu and she walked us through the choices. The Caesar Salad was enough to share, but so delish i managed to eat the entire thing, My husband's Caprese salad had dry but fresh mozzarella. It was tasty but not quite like summertime. 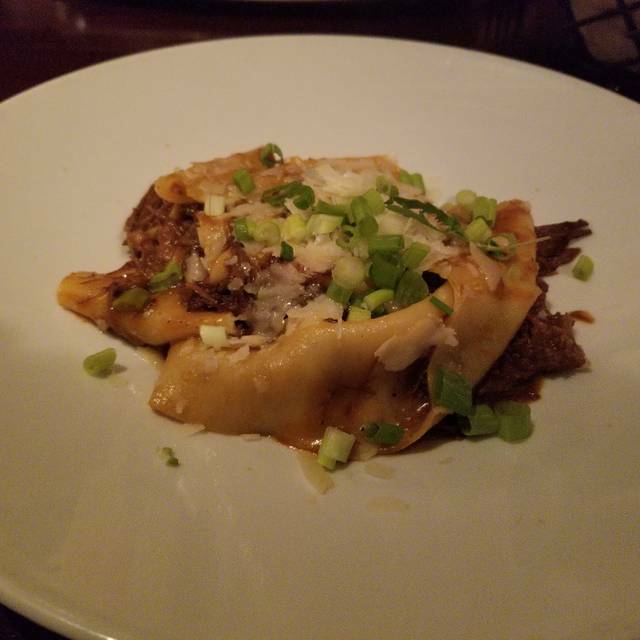 I had the pappardelle and short ribs, and serving so large I had the leftovers for another meal at home. The Ahi tuna dish was superb, done perfectly seared. Desserts were huge and yummy. 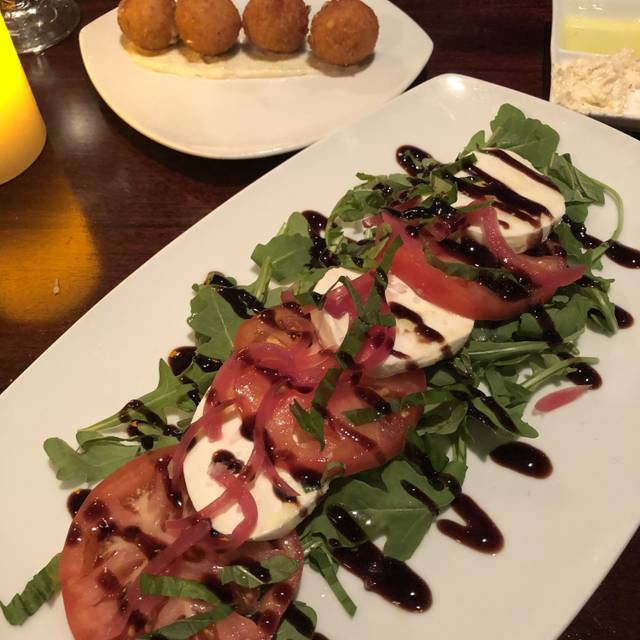 We look forward to bringing friends with us on a return visit to sample the regular menu. I live 2 minutes away from Amelia's and go quite often. I love the food and ambience. I brought a few friends who have never been and it was restaurant week so I was a little worried the food might not be as good. I couldn't have been more wrong, food was superb and they loved it! They just acquired two more regular diners! Excellent Food and service. Never have been disappointed. Would definitely recommend to go for a drink and an app or for dinner. Feels like you are at a Boston restaurant. Morgan, our waitstaff, was wonderful! Pleasant, happy and attentive. The food was delicious. It was a wonderful evening. I've never had a bad meal here. Most times it's with large parties and they do a fantastic job. I found the menu to be very limited. For example the sirloin comes with fries and you don't have the option of a baked potato or mashed. The fettuccine with chicken and mushrooms only had 3 or 4 small pieces of chicken in it and a few mushrooms. It was essentially $25 for a plate of pasta. The service was excellent and I enjoyed the atmosphere. This is our go to restaurant. It’s about 1/4 mile from where we live but even if it wasn’t close by I would travel. Food is all ways good, service is impeccable and decor is sophisticated - what more could you want. It could span the gamut of dining experiences from everyday to special occasion. Several dining rooms, one of which has fireplace as does the lounge area in bar. Go early - parking lot gets full almost everyday of week.